I listened to U.S. Democratic Presidential debate the other day and I was dismayed by the incessant hammering the participants applied to the 1% richest people. This only works as a political tactic, and it works quite well on the left side of the spectrum, because people don't understand statistics very well. Specifically, people are predisposed to accept a reification of a statistically defined classification. Four years ago, $350,000 per year household income was sufficient to be in the 1%. Today, household income must be over $500,000 to make the top 1%. People look at that and conclude that while the rest of the country saw little or no real increase in their income, the 1% saw an increase of nearly 50%. Let me state this without equivocation. This is good politics but it is horrible statistics!!! This 'us vs them' mentality has become so pervasive that it will not be easy for most readers to have their perspective on this corrected. However, it is very important that they do. It is one of those cases where people's thoughts are being manipulated for political gain. The 1% is not a monolith. It is fluid. Families enter the 1% and then, as often as not, leave it. By age 60, 11.1% of families have at least one year in the top 1%. Only about 60% of those families who are in the top 1% for at least one year in their life will be in the top 1% for ten or more years. This is what I mean by reification. There is no ccommunity of wealthy While some members of the top 1% persist, it is generally comprised at any one time of less than 10% of those who will be in the group at some piont. For example, a family that earned $350,000 in 2010 was in the upper 1% that year. Even if they got raises of 6% per year, well above what was received by the middle class, in 2014 their income would be about $440,000 and they would no longer be in the upper 1%. Put another way, it is not that the wealthy got huge income increases, though some did. Rather what happened is the amount of income needed to make the top 1% increased significantly, primarily because new people entered the ranks of the wealthy and often they did so at an income level well above the minimum requirement. Part of what causes this are many small business owners who sell their business and retire. In the year of the sale their income can reach the upper 1%, but it will go back down the next year and from then on. They only sell out and retire once, but there are so many small businesses that they still comprise a significant portion of the top 1%. Because the 'baby boomers' are retiring now, this is particularly important. The idea that there are these 1% wealthy families who are getting huge income increases and everyone else is getting nothing is just not correct. The proper analytical approach is to choose an income level designated as 'wealthy' and look at what percent of the population meets or exceeds it. Let's look at $350,000 per year which in 2010 was the cut off for membership in the despicable 1%. Because we want this to be absolute purchasing power, we will increase it by the CPI. That means that in order to have the purchasing power of 350,000 2010USD a household would need to earn 373,915 2014USD. So, this is the proper way to look at it. In 2010, 1% earned over $350,000. In 2014 about 1 1/2% earned over $373,915. It is not so much that the rich got richer as they got more plentiful. It is likely that for those who were in the 2010 1%, their income increased significantly. After all, they are participating in the Information Age economy which is inherently growing. For example, during this period, online sales increased at a rate of aboutr 11% per year, substantially higher than the economy as a whole. However, the arithmetic process of determining the average income of the 2010 top 1% and the 2014 top 1% does not valid. As we see from the above, in 2010 we are calculating 100% of what we are calling 'the rich' where in 2014 we are calculating the top 67%. The average income of 'the rich' is going to go up just because of that. There does exist an emergent and more meaningful demarcation of the population. However, it is not defined directly as income, which actually serves to obfuscate rather than elucidate. It is properly defined as those who are entering the Information Age economy and those who are stubbornly (or desperately) holding on to the Industrial Age paradigm of trading time for wages. The former typically have incomes in the '1%' range (now the 1 1/2%) and are seeing rapid incremental increases in their income. The latter are finding that their value added, at best, is remaining unchanged. With an approaching wave of accelerated technological unemployment this situation is going to become much, much worse. Consider a person who is working for $60,000 per year in an Industrial Age job and then decides to create an Information Age career. The research indicates that typical successful Internet companies will triple their revenue each year for the first three years. 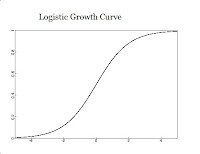 Then growth will begin to slow down until the enterprise reaches market saturation. Let's assume that this person starts his or her business with a book value of $100,000 and has a theoretical return of $67,000 per year (See Death of Capitalism). In the first year or two, (s)he will actually experience a decrease in both cash flow and stated income, because most of the return will go to growing the business. However, by year four income has reached $1,800.000 ($67,000 x 3^3) and growth has slowed enough to create significant cash flow. The person now is safely ensconced in the '1%'. This is what we are seeing. People literally leap into the Information Age income range over the course of just a couple of years, sometimes in just months. They leapfrog members of the '1%' and displace them. Here in Sunny Isles Beach, which is designed for households with million dollar plus incomes, I see it often enough. For example, one fellow lives in a $3,000,000 condo on the beach and owns a Bentley, Ferarri and AMG S65. He became an affiliate for an online pharmacy and found a way to drive huge amounts of traffic to the site. Many online pharmacies are paying 25% commissions, so 10,000 customers buying $20 per month of medicine is $50,000 per month in income. He apparently does better than that. He hasn't shared how he does it. Another fellow drives around Sunny Isles Beach in a new white Rolls Royce Wraith. Just last year he started a business where he charges wealthy Russians $150,000 each to get permanent residency status. His service just exploded on the scene in a matter of a couple of months. Just one new client per month puts him comfortably in the top 1%. Yet, another fellow started an online pet supply site. It went from two employees to 170 employees in just four years, easily exceeding the tripling every year for the first three years that is the norm. Now, he owns a yacht parked next to his penthouse condo at the marina and drives a Bentley. These are the new members of the Information Age elite. They literally leap into the upper income ranges from the lower 99% and displace previous members of the 1%. They vastly outnumber the investment bankers, hedge fund managers, Fortune 1,000 CEOs and top level lawyers that we are encouraged to think of when we think of the 1%. These new Information Age workers are getting almost all of the increase in GDP per capita from the U.S. economy. This distinction is very powerful. One thinks quite differently if one thinks in terms of the top 1% getting all the GDP growth than if one thinks in terms of an additional 0.1% of the population joining the Information Age workforce each year. With the first you will likely think in terms of a closed door country club to which you do not belong and to whose members all the goodies go. You will tend to think of income acquisition as a zero sum game and you are on the wrong end of that game. In the second you are more likely to ask, 'Why them and not I? Why do I not decide to become one of the 0.1% who join this group each year?' Why not, indeed? Clearly, from the country club, zero sum game world view of 'the 1%' the above statement is ridiculous. However, when viewed from income rather percentile, plus sum game, it makes perfect sense. Whatever income level a person sets as the cut-off for 'the rich', the number of households that achieve it, in real dollars, is growing and will continue to grow. 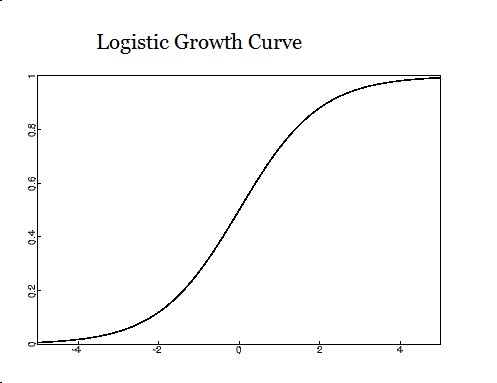 Like most economic trends, the percent membership in the Information Age workforce will grow following a logistic or 'S' curve. In other words, for a couple of decades the 0.1% growth in the Information Age workforce will increase - 0.1%, 0.12%, 0.14% etc. This means that while the increase in the '1%' is easy to miss today, it will become obvious within ten years. As it does, the clear bimodal profile of Information Age workforce and Industrial Age workforce will become apparent to all. It has generally been blamed on rather simplistic mechanisms such as the transfer of costs from labor to capital expenditures. Because the wealth disparity has always been greater than income disparity, an increase in capex is seen as the source of the increase in income disparity. However, a Council on Foreign Relations white paper that, while including technological unemployment, also assigns some of the cause to globalization of the labor market, increases in the education premium, etc. However, while not invalid, that is an Industrial Age way of thinking. If we consider who is entering the top income tier and often entering well above 500,000 USD 1% floor, it is essentially people who have mastered the use of high efficiency Information Age marketing. The pet supply marketer succeeded because he uses the more modern advertising techniques where you will or will not see his display ads based upon the cookies on your computer. The permanent residency consultant and online pharmacy affiliate found very efficient ways to connect their potential customers and their service. That is the single biggest secret to joining the Information Age workforce. It is not easy which is one of the reasons that only 0.1% are managing each year. We see two countervailing forces at work. Advanced robotics and AI are increasing GDP through improved productivity. It is causing technological unemployment which depresses compensation of Industrial Age jobs. At the same time, the new productivity tools are making it possible for individuals and small groups to enter the Information Age workforce which allows them to jump quickly to high income. Of these three, number two is usually the stumbling block. In fact, seasoned Information Age workers understand that finding a product is easy, building a viable business model is not difficult, but finding your customers profitably is the big challenge. That is why the Internet is full of advertisements promising to show you how to acquire leads cheaply. By the way, they rarely work. Despite this, every year some people succeed at it and jump to Information Age incomes. As this happens, no matter what is taken as the floor income of the rich, the percent of the workforce that achieves it by joining the Information Age workforce increases over time. However, by defining the rich on a percentile basis, whether that is 1% or 0.1% or even 0.01%, you are creating a moving target. Every year 'the rich' is redefined and is forced to be an exclusive club with the same number of members. As we saw, this kind of thinking results in some members of 'the rich' enjoying a healthy income increase and still finding that they are no longer rich. However, if we define 'the rich' by an absolute, even if CPI adjusted, dollar amount, there is no limit to how many people can join. Globally, over most of the developed world, I generally think in terms of 1,000,000 2015USD per year as a reasonable goal. It will fund two super-luxury automobiles and a 500 meter home in most places. At present, fewer than 1% of households earn that much and even fewer do so year after year. However, over the next 20 to 30 years, 20% or more of households will reach that level. The other 80% while not reaching that level of affluence will still earn a median household income of 500,000 2015USD. There will still be a 1%. However, one need ask whether it will have any significance by today's standards. By reifying percentiles of income we are confusing ourselves and interfering with our ablity to think productively about our collective economic future.